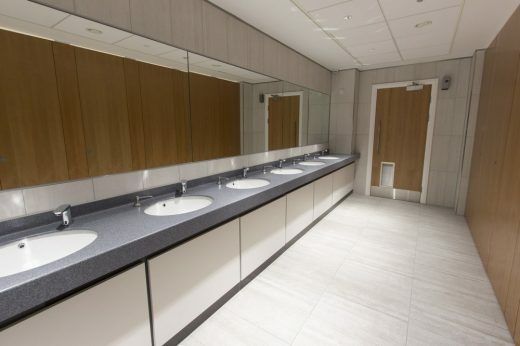 Leading tile supplier Solus Ceramics has added a touch of sophistication to a brand new £5 million refurbishment project with the use of its stylish Hardline collection. 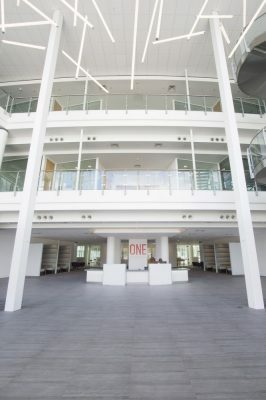 Previously known as The Phoenix Building on IM Properties’ Blythe Valley Park, One Central Boulevard offers the largest available floorplates on the M42 corridor. 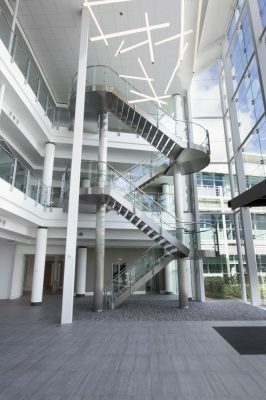 Located in the heart of the UK, this new modern business campus boasts over 113,500sqft of space, which is surrounded by a stunning 122 acre country park. Alongside refurbishment to the office accommodation, the ground floor common areas offer breakout spaces for informal working whilst also providing a newly designed reception area and café facility, which is where Solus Ceramics wall and floor tiles take center stage. The Hardline range is influenced by the look and feel of concrete, with the tiles providing an iconic aesthetic boasting modern characteristics. Available in a variety of neutral grey tones, the collection is suitable for all types of interior design, lending a contemporary and realistic feel to any space. 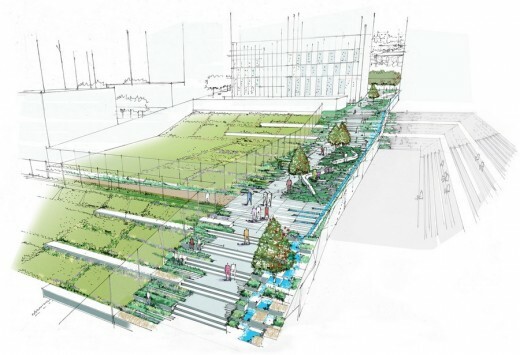 Roy Yates, Project Architect at Webb Gray Ltd, said: “One of the key aspects of the brief was to implement a design aesthetic that would be modern and stylish. The building is used for multiple purposes and it was essential our design theme ran through the entire common floor areas used for informal and collaborative working. “Due to the size of the building we were looking for a number of different tile choices that complemented the vast space. 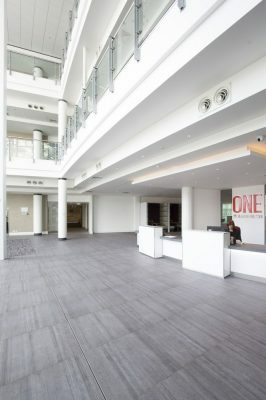 For the entrance atrium we were looking for a large format tile that was not only visually appealing, but also durable enough to withstand the heavy footfall of well-populated areas within the premises with a simple cleaning regime. 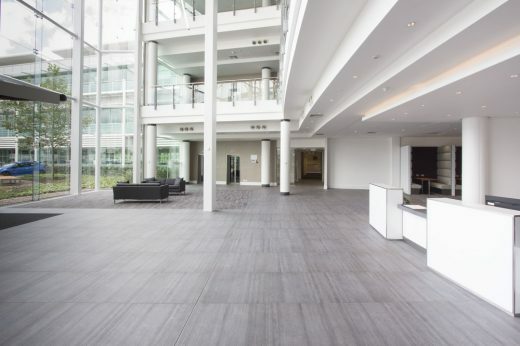 “We specified Solus Ceramics’ Hardline range not only for its aesthetic appeal, but because of its durability, meaning it was the ideal solution to meet all of the requirements set out by the brief for One Central Boulevard. Each tile surface within the Hardline series is unique, meaning there is an endless amount of innovative designs that we can implement to showcase the variations in textural and tonal movement required. “The Hardline range comes in three different colours, including Stork, Drope and Wisen. Stork was utilised due to the subtle sleek tones embodied within the tiles that complemented the simplistic style in the reception area, whilst the Wisen colour added a touch of elegance to the toilet accommodation within the core building. For more information, call Solus Ceramics on 0121 753 0777, email sales@solusceramics.com or visit www.solusceramics.com.